Happy to announce the iPad version of “Crying Meri” book is available on the Apple iBooks store. 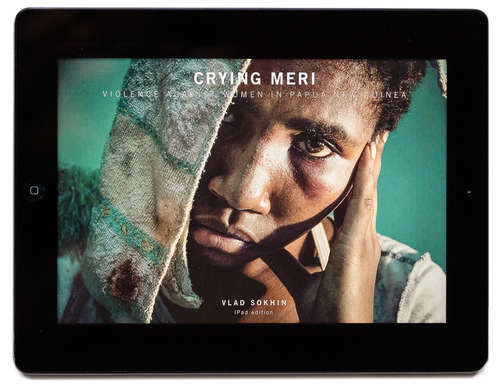 Published by FotoEvidence, Crying Meri is a monumental work documenting violence against women in Papua New Guinea. Images from the work were used in public education campaigns by the United Nations, Amnesty International, Child Fund Australia and others. The photographs capture both the beauty of PNG and terrifying plight of women who face danger in the home, danger on the streets and the danger of being accused of sorcery. 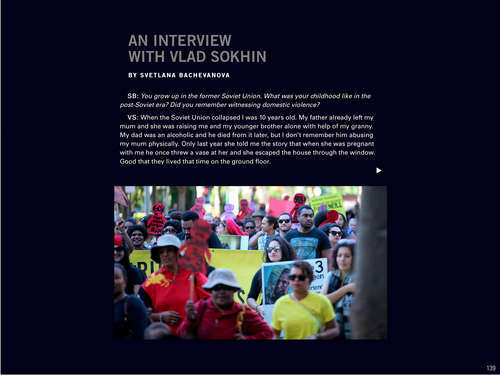 The iPad version of the book has 151 pages and contains 124 colour images, an introduction by Jo Chandler, foreword by Christina Saunders and interview with Vlad Sokhin. It also features a short multimedia film about one of the survivors of sorcery-related violence Dini Korul, that was produced by duckrabbit.